Does it seem like the world is upside down? When you watch the news or look at the world around you, does it seem as if many things just aren’t the way they should be? Or are you in a place in life right now that feels upside down? Maybe your life has been so hectic for so long, upside down feels normal. These past few weeks, we’ve been looking at the book of Acts and seeing how the Holy Spirit changes things when He comes on the scene. “Come Holy Spirit!” What does the Holy Spirit want to do with our upside-down world? 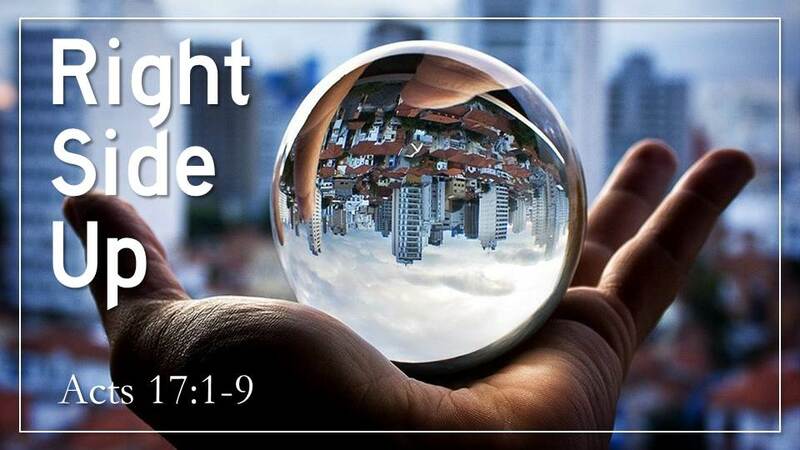 Let’s look at the Bible together and see, when the Holy Spirit comes, He turns the world Right Side Up.